While the smartphone remains the device of choice, the tech world is progressing by creating a future for wearables promising to entertain consumers, save them money and help them live healthier lives. Wearable technology comprises sensors and other electronic technologies on items like watches, glasses and clothing worn on the body. The interest of technology companies in health and wellness sector has led to the creation of various wearable devices that tell them everything from how much they weigh, their sleeping pattern, hydration level, how hard they’re working out, to blood sugar level and if they seek medical treatment for an irregular heartbeat. There are glimpses of health wearable in the future. Apple is making its way into the health and fitness sector with the new Apple Watch and the HealthKit software application now integrated with its iOS 8. Microsoft has introduced Microsoft Band wearable device and Microsoft Health software that tracks your health and fitness levels. Samsung Gear, Fitbit, Mi Band and others are increasingly becoming desirable. 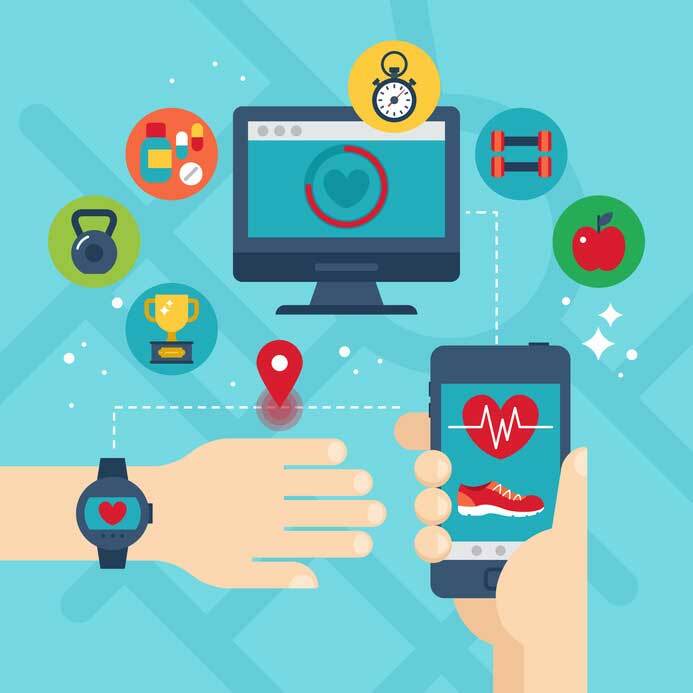 Wearable devices and their related apps will be a seamless part of consumers’ lives and the health ecosystem as wearable technology becomes secure, cheaper and more sophisticated, and data quality improves. Click here to know more about our Wearable Devices Application Development.